Automobile: bumper, headlight, tank, inner door panel, radiator and radiator support. It is important to call the real experts to limit the hazards associated with melting of the plastic . A merger made ​​by a non-certified repair could cause property and environmental damage. 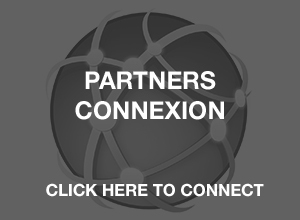 Require certified and qualified experts. Make sure of the skills and guarantees repairs of the company. 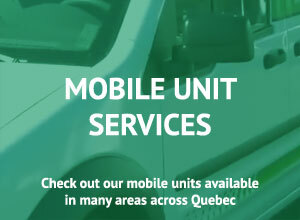 CAA-Quebec members enjoy 10% off their total pre-tax bill for all repairs of plastic materials done directly at our Victoriaville headquarters or by our mobile units throughout Quebec. Soudure Plastique Québec has been invited by the government to come and participate in the”Canadian Waste to ressource conference”, which is being held in Toronto. 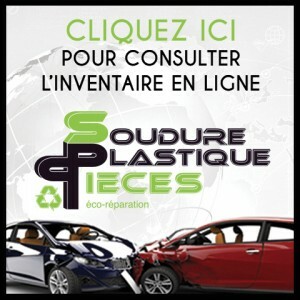 This event has for mission to make known of Quebec businesses, whose Solution Plastic Repair! 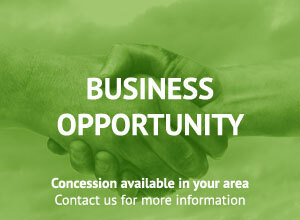 A beautiful opportunity! Thanks to its plastic fusion welding technics, the enterprise of Stéphane Richard and Nathalie Carignan has a new string to its bow, which is a training program for the automotive industry with the training and recognition program of I-CAR Canada. The city of Trois-Rivières, a partner for the planet! January 16, Solution Plastic Repair and 40 people from the business community were present at the Auto Show 2014 at the Palais des congrès of Montreal, to support this event to raise funds for Pierre Boucher hospital. It was a great success. Thank you to our participants!